This amazing tool help user to transfer unlimited NSF emails to Exchange Archive Effortlessly. Software is facilitating with two utmost features 1) Ability to transfer NSF file to Exchange Archive 2) Ability to transfer data from Domino Server to Exchange Archive file directly. User may prefer this tool without having any doubt in their mind as this will not allow making any changes regarding the integrity of data and can relish the amazing property of NSF emails into Exchange Archive converter tool. With this software user can effortlessly convert NSF emails into Exchange Archive in bulk mode. User is able to migrate NSF emails from Lotus Notes or Domino server to Exchange Archive. User can transfer multiple mailboxes to the Exchange Archive in two ways. They can transfer their mailbox from Lotus Notes client to Exchange Archive or from Domino to Exchange Archive. 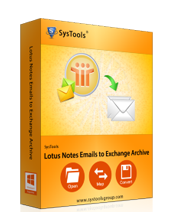 With this software user can smoothly convert encrypted mails from Lotus Notes to Exchange Archive. By clicking Removal Encryption option this software enables user to decrypt encrypted mails. To exclude adverse data or standard folders user can apply filter to them at the time of Lotus Notes to Exchange Archive Conversion. This feature is very helpful in order to reduce data size. When tool convert NSF emails then it will show the status report of each mail conversion simultaneously. Through status report user can preview the speed and size details of each mails. Software is facilitate with so many advance properties that preserves all the Meta data like links, inline images, internet header etc. while transferring NSF emails from Lotus Notes to Exchange Archive. Software is facilitating with adorable Filter Property that helps in exclusion of adverse emails and folder. Support Bulk Migration of data to Exchange Archive. User can simultaneously view Status Report while conversion of mails will be held. With the Demo Version user can convert 15 emails per folder from Lotus Notes to Exchange Archive. Do I need to have live Exchange Archive environment at the time of Lotus Notes emails conversion? Yes off course! To run the conversion software Exchange server environment and Lotus Notes installation is necessary on the machine on which software is going to run. Does this software able to migrate NSF mailbox directly from Domino Server to Exchange Server directly? For sure, but for the effective conversion configured machine should be connected with the Domino Server as well as with the Exchange server and the user should be able to provide all the authentic credentials of the server at the time of conversion. Is there any facility to exclude the useless data? Yes converter tool is facilitated with the Filter option to omit undesired data. The software allows user to exclude standard folder simply by check in them. Is there any constraint regarding limitation of File size? Not at all, user can able to convert unlimited no. of data from Lotus Notes to Exchange archive or from Domino server mailbox to Exchange archive. What types of welfare did we get with this software? There are unlimited no. of aids provided with the software user can export 15 emails free with the demo version and many more advance feature which help you in reliable migration. I would like to appreciate the developer team who made this smart tool that effectively convert NSF emails into exchange archive. 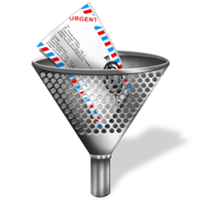 Its properties are spectaculars which doesn't take extra time to migrate entire mailbox. Really no words to explain the proficiency of software, it's a quality tool which doesn't require any efforts while conversion of data. Filter property of this software allows me to precisely export emails and save my precious time. From the deep research on the internet I found this excellent tool which satisfied me with its perfect working. Through this software I have converted my number of mailboxes from Domino server to Exchange archive efficiently.